Classification: Taxonomy and phylogeny, Lake Malawi.
" Review of the paper: Tawil, Patrick. 2011. "Description of a new cichlid species from Lake Malawi, with reexamination of Cynotilapia afra (Günther, 1893) and Microchromis zebroides Johnson, 1975". Cybium. v. 35(n. 3), pp. 201-211. The correct identification of the real Cynotilapia afra is given with the reasons supporting it. Comments on the correct synonymy of Microchromis with Cynotilapia are presented "
The drawing in Günther 1894 of the largest of the two syntypes of Cynotilapia afra. Note the thin, light margin in the dorsal fin. With excitement I received the publication by Patrick Tawil (2011) in which he resurrect the genus Microchromis and in which he describes a new species. At first glance I was delighted to see that he discovered that what Ribbink et al. (1983), and all authors after them, referred to as Cynotilapia afra is not that species; but I was less enthused about him re-establishing the genus Microchromis Johnson. Below I'll discuss why I believe Microchromis should remain a synonym of Cynotilapia.
" The species Reverend Joseph A. Williams collected and later donated to the museum came from Chizumulu Island "
In the introduction Tawil mentions "Microchromis... is often overlooked and rarely mentioned, with the exception of Ribbink et al. (1983), citing a personal communication of Lewis, for whom it is of doubtful validity, and Genner and Turner (2005)." There is of course a reason why the description of Microchromis was often overlooked, because it was published by its author, Don Johnson, on three sheets of paper folded in half giving a booklet of 12 half letter-size pages. On these 12 pages he managed to place the descriptions of four species and a new genus, and a discussion on the classification of mbuna. There are no indications that the circulation was more than 25 booklets for each "issue" and since these were distributed chiefly among aquarists, they were never referred to in scientific publications. It is of course an excellent way of avoiding criticism for your work. Nevertheless, Johnson's "Today's Aquarist" had an ISSN number which makes it a taxonomically valid publication. There is also a reason why Microchromis is rarely mentioned because it was obvious from the beginning that it was likely a synonym of Cynotilapia (more about that later). Tawil continues by stating "It is one aim of this paper to re-examine the type species of both genera [Microchromis and Cynotilapia]". Although Tawil starts with what looks like a redescription of Cynotilapia afra, a (new) diagnosis of Cynotilapia has not been given although various characters are mentioned in the discussion: "[ ]…the unique shape of dentition in Cynotilapia, with its enlarged four inferior [sic] "canines", the convex profile of the snout – concave in Microchromis and zebra-like species – and the melanic pattern." From these remarks I could deduct that members of Cynotilapia have four large unicuspid teeth, a convex snout profile, and something with the melanin pattern. The only syntype of Cynotilapia afra that is still a complete specimen and which is labeled "lectotype" in the online catalog of the Natural History Museum (London) although no published designation can be found. Photo by Michael K. Oliver. The snout profile of the type of Cynotilapia afra compared to a straight line. Photo by Michael K. Oliver. Before I address these characters let me first consider the syntypes. These type specimens were collected by Reverend J.A. 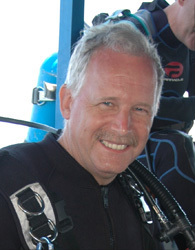 Williams and the collection locality was "Lake Nyasa". In the early days of fish collections in the great lakes of Africa the precise collection locality was not deemed important and the specimens that arrived at European museums simply listed the lake in which they were caught, sometimes even the wrong one. Of course you can just maintain that we will never know the true provenance of these species and move on to the next problem, with the fish collected by Reverend Williams, such is not the case. The species he collected and later donated to the museum came from Chizumulu Island. I came to this conclusion after reading letters that Archdeacon (later Bishop) of Likoma, Chauncy Maples, had written to his sister, Ellen Maples, who published them in 1898. Maples was sent from the Universities' Mission to Central Africa (UMCA) in 1886 to become Archdeacon of Likoma (which included all the tribes that live along the lake's shores). His friend, Reverend Joseph A. Williams, stayed with him for a while on Likoma and he was regularly mentioned in Maples' letters. When, in May 1889, the houses the church had built on Chizumulu Island were completed, Williams was sent to Chizumulu to lead the mission there. The only time after his move Williams appears in the letters is when Maples steamed up to Chizumulu on his way to the mainland (there was another mission at Bandawe). In July 1893, Maples mentioned that a crew was sent out to Chizumulu to fix the houses that fell in disrepair 5-6 months earlier that year. This indicates that his friend Williams was no longer on Chizumulu and since he is not mentioned in letters from that period he was probably not on Likoma either. The British Museum of Natural History received the type of C. afra from Williams on January 17th 1893 with the remark that they were collected in 1891. So, it appears that Williams had already been back in England for some time. However, he returned to Africa and drowned together with Maples (who was just consecrated Bishop) on a small boat that sank on September 2nd 1895 near Senga Point in the southern part of the Lake. From these letters, I deduce that J.A. Williams was on Chizumulu Island between May 1889 till about November 1892 and it thus seems logical that the type material for the four species Williams donated to the museum, Astatotilapia calliptera, Pseudotropheus williamsi, Stigmatochromis modestus, and Cynotilapia afra, were collected there (Konings, 2007). At Chizumulu, the island itself, we find two Cynotilapia species: one species referred to as C. afra by Ribbink et al. (1983) and another referred to, by the same authors, as C. 'mbamba'. The latter species is the bigger of the two and does not exhibit alternating blue and black bars of equal width but has a very dark, almost entirely black coloration with sometimes a few blue markings on the occipital region. If we consider the type of C. afra (see photo) and compare that to the two species found at Chizumulu Island there is little to contradict the notion that C. afra is represented by the all-black species referred to as C. 'mbamba' by Ribbink et al. (1983). The blue-black vertical barring remains visible in the holotype of Metriaclima zebra which was collected in the same period and has been stored in alcohol for more than 100 years (personal observation). So if Reverend Williams would have collected a very large blue-black barred Cynotilapia such a specimen would have likely shown such a pattern, but the lectotype of C. afra doesn't. The type does show a narrow light margin in the dorsal which coincides with that found in live individuals. A male of Cynotilapia afra at Machili Island (Chizumulu), which is near the likely type locality of the species. Photo by Ad Konings. A close-up of the mouth of Cynotilapia afra at Machili Island (Chizumulu). Note that only three large teeth are visible in the lower jaw. Photo by Ad Konings. A close-up of the mouth of a mouthbrooding female of Cynotilapia afra at Masimbwe Island (Likoma). Note the four large teeth in the lower jaw. Photo by Ad Konings. Because of the fact that this information was not known to Tawil he could not find among the multitude of Cynotilapia-like mbuna one that agrees in body shape, tooth structure and melanin pattern, and although it is not specifically mentioned in his paper, I surmised that he wants to restrict the species C. afra to just the museum specimen. I cannot understand why, in Tawil's point of view, zebroides cannot be part of Cynotilapia. Perhaps it is the melanin pattern, but then again if we look at the photo of Tawil's freshly preserved holotype of Microchromis aurifrons no vertical bars are visible either and the fish is almost completely dark gray/black, not unlike the type of C. afra. So the presence of vertical bars cannot be a distinguishing character for members of Tawil's Microchromis. Returning now to the other characters discussed by Tawil (2011) that would set Cynotilapia apart from Microchromis, I would like to mention that the convex snout is not supported by the lectotype of Cynotilapia which shows a straight snout (see photo). In the original description by Günther (1894) it is stated that "In a specimen 4 inches long the diameter of the eye equals the width of the praeorbital and the depth of the scaly portion of the cheek, but is less than the width of the interorbital space, which is convex." The latter remark means that the space between the eyes is convex, not the snout, and maybe that was mistaken as the snout being convex. Although a diagnosis for Cynotilapia is not given, Tawil offers a description of how he understands the genus Microchromis: "A rather stocky-bodied Mbuna genus [sic] with blue-black colour pattern and concave, slightly prognathous mouth. Similar to Pseudotropheus (Maylandia) zebra species group (as defined by Stauffer et al. (1997) under genus Metriaclima), with which it shares the same overall coloration. Differs from these mainly by dentition: teeth on outer rows short and conical, regularly decreasing in size from symphysis to corner, vs bicuspid in Pseudotropheus." I deduct from this paragraph that members of Tawil's Microchromis are stocky mbuna with a blue-black color pattern, but if we look at the photo of the living holotype of aurifrons, which he describes as a member of Microchromis on the following page (see later), we see extremely little blue and anyone would agree that the male would be better characterized as having a yellow-black color pattern. It is rather incomprehensible to have the second species described in the genus Microchromis not fitting the description for its genus given in the same publication. I understand that the genus cannot have a blue-black color pattern but its members can—likely only the male members. While this should be the most important paragraph in the whole paper stating the definitive diagnostic characters of Microchromis and why the author thinks we should maintain Microchromis beside Cynotilapia, it is lost in poorly defined characters and inaccuracies. Moreover those characters given should distinguish Microchromis from Pseudotropheus, nothing is compared to Cynotilapia, which obviously is the most closely related group to Microchromis. Only later in the discussion I find some characters, which I mentioned in the beginning. Now I can still not fathom what the diagnostic characters are that a species must have to belong to Tawil's Microchromis. There are some descriptive characters but none are given that are diagnostic apart from perhaps the inaccuracy of the convex and concave snout profile, as mentioned before the only type of Cynotilapia that shows a snout profile has a straight snout, not convex. Another "character" given, unclear if diagnostic or not, are the stout teeth of the lectotype of C. afra. Tawil suggests that the large canines in the lower jaw of the type are typical of Cynotilapia, not just of C. afra or even just for that particular specimen. At another place in his paper he says "Generic limits based solely on dentition were common at the beginning of the 20th century, but later works on African great lakes cichlids (Liem, 1981) prove that dentition is more variable than previously admitted…" Indeed, dentition varies between individuals of the same population and the reason why nowadays ichthyologists use 10-20 specimens to describe a species is to grasp that individual variation. Unfortunately for Tawil is that his (non-specified) diagnosis of the genus Cynotilapia is solely based on a single specimen, because the second original syntype exists now only as a disarticulated skeleton. Even when both specimens were in good shape one cannot define generic character variation from two specimens. In the case of an extremely rare species of which only a single specimen was ever collected one would possibly get away with basing a genus on a single specimen which must then be so much different from other known species to justify such a bold statement—however, C. afra is neither rare nor much different from other known species from Lake Malawi. The lower jaws of four different Cynotilapia to illustrate the range of large canines in the lower jaw. A. four canines in C. zebroides at Mbenji Island, Malawi. B. six canines in C. zebroides at Malopa, Malawi. C. six canines in C. sp. 'chinyankwazi' at Chinyamwezi Island, Malawi. D. eight canines in C. sp. 'elongatus mdoka' at Mdoka, Malawi. Photos by Ad Konings. Cynotilapia aurifrons A. Male (top) and female (bottom) at Lion's Cove, Malawi. B. Male (top) and female (bottom) at Lundu, Tanzania. Note that the females are characterized by a yellowish dorsal fin. Photos by Ad Konings. If we are still hesitant to accept that we know what cichlid represents C. afra in the lake consider the following. At Chizumulu there have never been beach seines because there is no sandy beach without rocks in the shallow water, so all specimens collected in the "old" days were caught on hook and line. So it is extremely unlikely Williams obtained, of all the species found around Chizumulu, a species that is extinct today. Remember that there are TWO types of C. afra. How likely would it be to catch on hook and line two mbuna at Chizumulu of a species that is now extinct? I think it is overwhelmingly clear that Williams caught (or African boys caught for him) some mbuna that are very common around Chizumulu and still are. The all-black "mbamba" is still very common at Machili Island, around the corner of Mkanila Bay where the first mission was. Over the years I have prepared a number of Cynotilapia skulls and found that there is some variation between individuals of the same population in the dentition and I don't see any problems whatsoever to include the "only four canines" of the afra type with all the other unicuspid-toothed mbuna. It appears that when the individual gets older the teeth get bigger and less. So, the teeth in a large male of, e.g. C. sp. 'chinyankwazi' look really spectacular, but females and juveniles have much smaller teeth. Even if one does not want to accept that C. afra is the same species as the all-black C. sp. 'mbamba' at Chizumulu, I don't think I really have to argue here why Microchromis is not different from Cynotilapia and that Microchromis needs to remain a synonym. After Tawil discovered that C. afra is not the species we all thought it was, he properly resurrected Johnson's species zebroides. So, all the forms that were previously referred to as C. afra are now correctly Cynotilapia zebroides (Johnson 1975). And above I just argued that the Chizumulu form of Cynotilapia 'mbamba' is the true C. afra. I particularly specified "the Chizumulu form" because Tawil (2011) also describes a new species, C. aurifrons, which is a cichlid which Ribbink et al. (1983) also called Cynotilapia 'mbamba' and which would be, according to my proposal that this species is the true C. afra, a junior synonym. However, since the type locality of C. aurifrons is Mphanga Rocks I would suggest to regard those forms of which the males have a yellow or orange marginal band in the dorsal fin and of which the females have a yellow/yellowish dorsal as the new C. aurifrons. And the dark forms at Chizumulu, Likoma, and Mbenji islands and also along the central and southeastern shore between Undu, Tanzania, and Gome, Malawi, are regarded representatives of C. afra. The females of C. afra have no yellow dorsal fins but are silvery like those of C. aurifrons. The males of C. afra always have a white marginal band in the dorsal fin (rarely ending in a yellowish posterior tip) and have a mainly black body with some, narrow blue bars. The strength of Tawil's paper lies in the fact that he rectifies Ribbink et al. 's misidentification of C. afra and its weakness is found in the poor attempt to resurrect the genus Microchromis. Konings, Ad. (December 20, 2011). "Some critical remarks on Cynotilapia and Microchromis". Cichlid Room Companion. Retrieved on April 21, 2019, from: https://www.cichlidae.com/article.php?id=369.